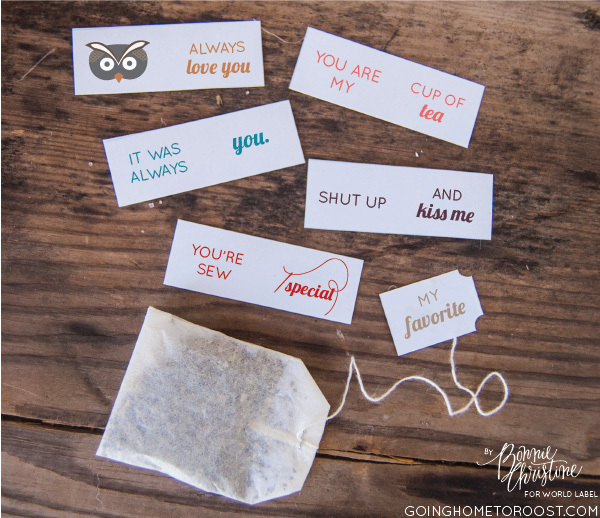 Download these cute free printable DIY Tea tags by Bonnie Christine of Going home to roost and make some fun tea bags as gifts for Valentines. 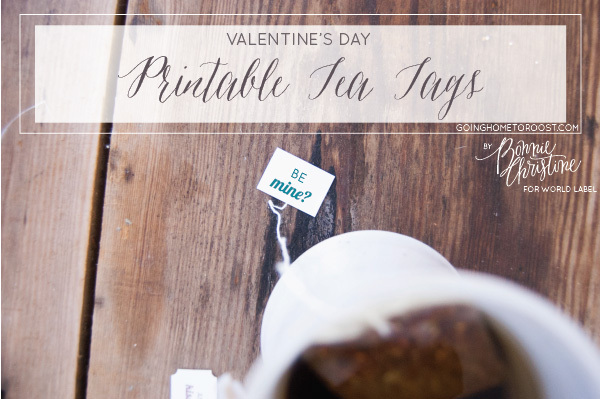 For instructions for the tea tags: print on full page white sticker paper and cut out along the faint grey lines. 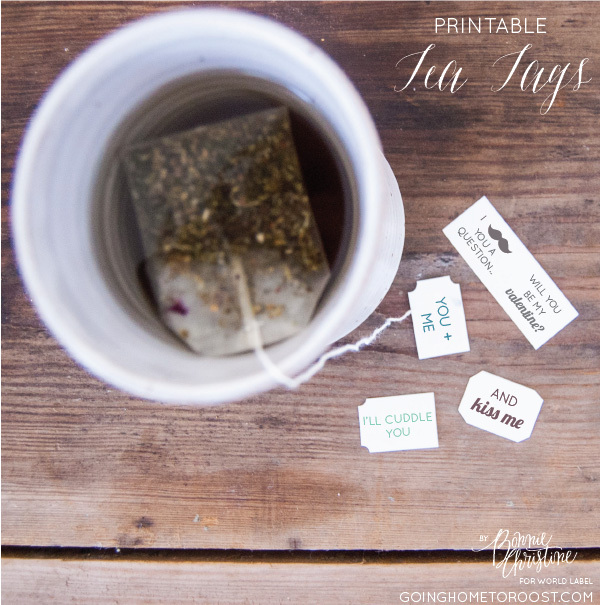 remove the backing and place the string from a tea bag in the middle of one side. fold in half. 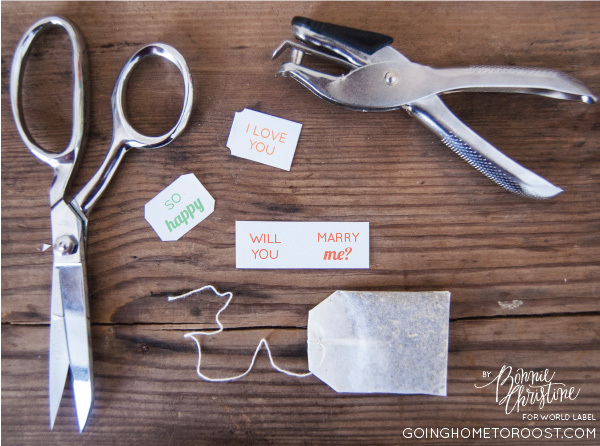 optional: for a professional look- use a hole punch to cut out notches at each top end, or scissors to bevel each corner. 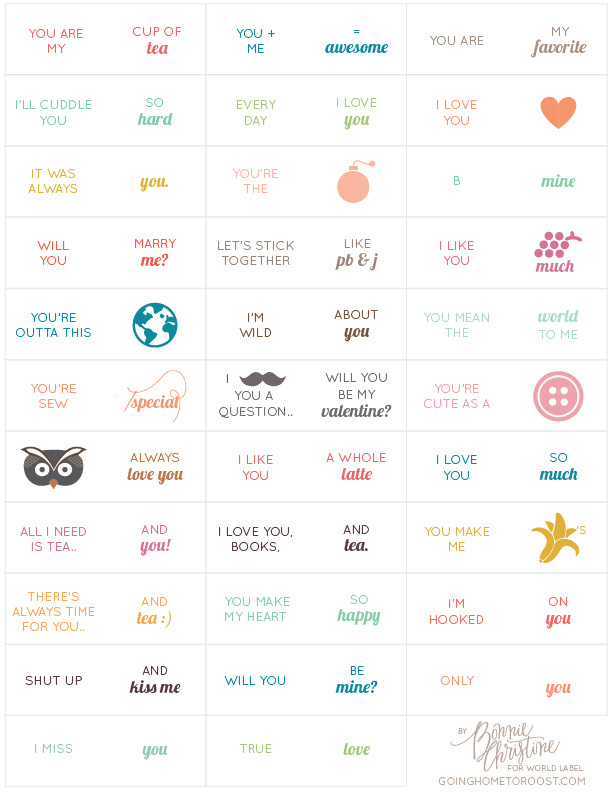 This entry was posted in Uncategorized and tagged DIY labels, free valentines day labels on February 10, 2014 by wlmanager.